In a small bowl, mix the lemon juice, olive oil, capers, shallot and dill with a pinch of salt and pepper. Mix to combine and set aside. Preheat the barbecue on high heat. Brush both sides of the Coorong mullet with cooking oil, and sprinkle with salt and pepper. Place on the barbecue skin side down, and cook for 2 minutes. Turn the fillets, and cook for another 2 minutes. Remove the Coorong mullet from the barbecue. Place the asparagus and broccolini on the barbecue, and cook for 2 minutes, turning occasionally. 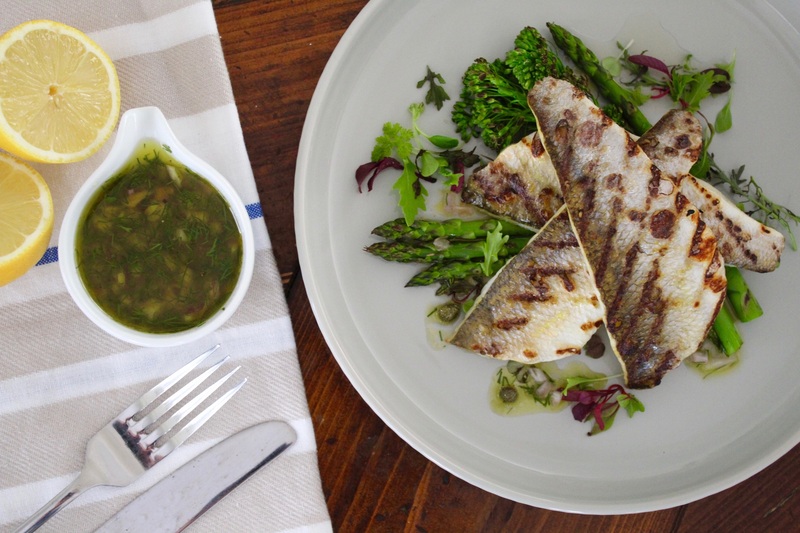 To serve, place the greens on a serving plate, and top with the Coorong mullet and lemon & caper sauce.